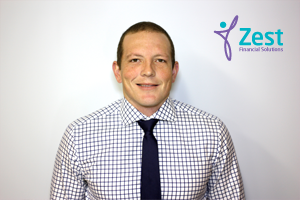 Damien has been with Zest since 2008, where he has developed from a para-planner through to a practicing financial planner. His specialist knowledge in Aged Care and Estate planning makes him a great asset to the firm. Through continual development, Damien has achieved the designation of a Certified Financial Planner (CFP) and is currently working towards becoming a Certified Practising Accountant (CPA). Prior to this, Damien graduated from the University of Southern Queensland with a Bachelor in Commerce (majoring in Accounting). When he’s not in the office, he enjoys spending quality time with his young family and keeping active by frequenting the gym.